Before you plunk down your money, think about what exactly you are aiming for; what you consider your ability to speak Spanish is; and what you expect to get out of the Spanish course you choose. An informed consumer is a wise consumer. You also might need to ponder about the question of specialty Spanish courses if you think they would help you with your goals. Also, you obviously want to consider other factors, such as cost, location, etc. However, here, we are going to address the issues of classes, social events, availability, and reputation of Spanish courses in Mexico. Ask yourself: why and how do I want to take Spanish Courses in Mexico? 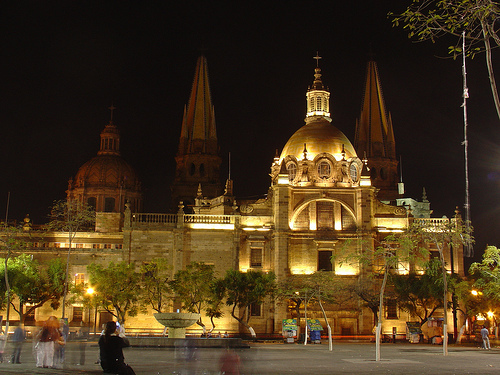 If you are interested in viewing cathedrals or architecture, ruins and museums, then you wish to pick a Spanish school that can give you these aspects of Hispanic culture. If you long for the beach, discos, and bars, then it might be a wise idea to take Spanish courses a few hours a day. This decision should be made in regards to your budget, interests, ability in Spanish, and time. Most of the Spanish schools in Mexico offer classes that start every Monday unless there is a national holiday. Quite a few will be open during Christmas holidays for the tourists´ convenience. This is especially true for students who are off for Christmas vacation only. Some Spanish courses in Mexico will have only up to 6 students in a class, while others have 9. In most cases there is the option of having private Spanish lessons exclusively. Still others have the option of blended Spanish classes: groups in the mornings and private lessons in the afternoons. Make some research on the Spanish School: is a well known and recognized institution? Is it accredited?, etc. You also need to find out how well the teachers are educated. Being able to speak a language and being able to teach it effectively are two very different things. Nearly all of us have teachers who were, perhaps, brilliant in their field, but could not teach anyone anything. These, of course, you want to avoid. Fortunately for you, you can use the Internet to find forums where former students give their opinions of the Spanish course. Naturally, it will depend on the point of view of the student, but they do give you some insight as to what the Spanish school is like regarding courses and how they are taught. Remember, there are many different methods for teaching a language. What you do NOT want is simply to sit there like a turkey and memorize conjugations. You are there to learn to actually speak, read, and write the language. Thus, it is important that the teachers not only have a university degree, but have experience in teaching Spanish Language. This matter is vitally important, so check the teachers´ qualifications carefully. Another important thing for a lot of students is college credit. Check with your own college or university to see if the Spanish school is approved by them or if they will take the units for a course. This is especially important if you are planning to stay the whole summer or an entire semester. You can always ask the school to give you information about this aspect and show it to your school’s administrator. On item of vital importance if you want college credit is to check and see if the Spanish school offers the DELE, Spanish acronym for Diploma of Spanish as a Foreign Language. If they do, then they are accredited by the Instituto Cervantes, DELE exams are the sole standardized accreditation system for Spanish as a foreign language students accepted in over 100 different countries around the world. This certification is granted by Spanish Ministry of Education, Culture and Sport through the Instituto Cervnates. This is very important. The DELE is the ultimate goal for achieving fluency in Spanish. Also, specialty Spanish courses are offered by quite a few Spanish schools in Mexico. These vary from school to school. Here, again, it is important what your area of expertise is in your own country. For example, if you are a lawyer who deals in immigration issues, it would help immensely for you to speak Spanish. Moreover, unless you live in New York or Miami, the odds of immigrants from Mexico, as opposed to Spain, are directly in your favor. Spanish in Spain is different, just as British English is different from American English. Thus, you need to be practical and learn the Spanish that you will use the most. Your clients, if you live in the US, Canada, or even Australia will more than likely be from Mexico, not Madrid or Barcelona, for instance. If you are in law enforcement, you would need to know Spanish to communicate with immigrants, a lot of whom are Mexican, or at least form this hemisphere. The same is true for the medical profession. This is not to mention religious workers, such as missionaries, or business people, some of whom encounter Spanish speaking workers or executives. Ours has become a global entity as far as communication is concerned. With the Internet, business is conducted across the globe and Spanish is spoken by millions of people in many different countries. Investigate as to which Spanish school can offer you the Spanish that you need to do specific work. For most of us in the western hemisphere, travel to Mexico is practical and inexpensive compared to going and living in Europe. 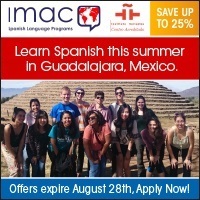 You might come to study Spanish in Mexico on vacation quite often, or to do business. The odds of going to Europe every year are not practical. Moreover, the costs of transportation and living in Europe are outrageous compared to zipping down to Mexico, whether it is for vacation or taking Spanish courses. Is the Spanish school accredited? If so, by whom? Has it won any awards? If so, what? Do the teachers have a university degree? Experience? Is it in an area where your private and social interests will be satisfied? Is the cost all inclusive, or do you pay for different things, such as textbooks, housing, home-stays, etc.? Depending on your length of stay, will your university or college give you academic credit for the Spanish course? Are there classes for children? Teenagers? What are the prices? What is the cost of living during your stay? Does the Spanish school offer special discounts for students, seniors, groups? Are there any specialty Spanish courses offered in your area of expertise? Are there any conversation classes? Are they free? What about cultural events, outings, etc. Are any of these included in your package deal? Are they free? Do Spanish courses start every week? Are you allowed to “blend” your course with both group and private lessons? How long are the classes per week? 5 hours? 20 hours? 25 hours? Is there a free media lab with Internet connection? Is there Skype available so you may talk to loved ones for free? Can you “rent “your textbook, or are materials included in the price of the course? Good hunting on your Spanish courses in Mexico and good luck!